My recent trip to the ScienceOnline conference to make the #Sciopartners presentation was cut short due to travel difficulties and I didn’t get to meet as many of the attendees as I would have liked to. I started thinking about how I’ve made connections with bloggers outside of that meeting in the past, and Tweetups, etc. at other life science conferences have helped a lot. I had an ‘aha’ moment shortly after these neurons fired and realized we could be a conduit for life science bloggers and companies to meet. The fact that communication is moving online makes in person meetings all the more valuable for maintaining relationships. Send a Tweet tagged with either @Comprendia or #Sciopartners with the hashtags of the meetings you’ll be attending in 2013 and the topics you blog about (see our life science events calendar for hashtags). 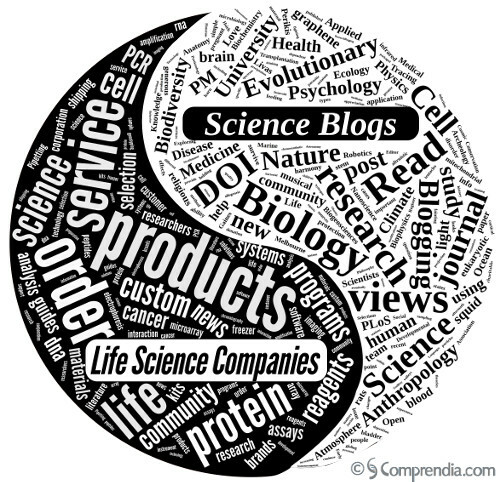 For example: “@Comprendia I’ll be attending #aacr this year and blog about cancer and life as a postdoc #Sciopartners”. We will collect the information and be in touch with you soon! Note that we will not make the information public, as some people prefer to keep travel information private. *I have to mention that there are ulterior motives for this post as I am trying to decide which meetings to attend so I can meet as many of you as possible! What conferences are you attending in 2013? Bloggers: What topics do you write about? Companies: What topics are you interested in sponsoring?